Following our previous communications, we would like to inform you that due to Government Regulation dated 29 July 2009, the state has now taken over the operations and warehousing of the main Venezuelan Ports including Maracaibo, Puerto Cabello and La Guaira. 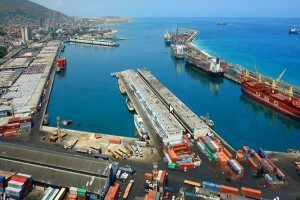 The Ports will be managed through the company named BOLIVARIANA DE PUERTOS (BOLIPUERTOS). Warehouses and handling equipments have been taken over from the private companies, which were handling the port operations up to the date mentioned (29-7-2009), by the state. Port workers have also become state workers. The operations, recently with Puerto Cabello, were interrupted during several days in the past. Nevertheless, these were resumed a few days after, with delays and disorganization, as it could be expected due to the taking of the port activities without previous coordination with parties involved. Actually, the general cargo is handled almost totally by the government; some of the bulk cargo is still handled by private stevedores for now. During the transition time, the load risk increased, during its handling as well as it storage, due to the general existing confusion about the load control (inventories), new procedures, personnel and lack of recognition of responsibilities in its handling. Nevertheless, the new port institution BOLIVARIANA DE PUERTOS (BOLIPUERTOS) has been taking control of the operations and reorganizing itself. In this moment, we consider that they are improving their operations and minimizing risks, even though this is not a guarantee and there is always a risk of accident. Furthermore, BOLIVARIANA DE PUERTOS (BOLIPUERTOS) acquired a Responsibility Policy over the Load and Operations of Seguros Altamira (Venezuelan Insurance) and the reinsurance was acquired with TT Club, internationally acknowledged. Between both enterprises they have organized themselves regarding the procedures for claims and the TT Club remains active, working in this matter. Actually, at W. Moller C.A., we are handling some new surveys with claims introduced before BOLIVARIANA DE PUERTOS (BOLIPUERTOS), where we have been able to perform joint inspections regarding damages and/or shortages and there have been joint Inspection Acts. These claims have been presented before Seguros Altamira /TT Club and we are awaiting for the possible recuperation of losses. 1.1. All risks that damage and cause losses of the Insured Goods, due to any external cause that takes place during the validity of this clause, in transit or storage covered, in exception of damages or losses caused by any temperature variation disregarding its origin. 1.2.1. Damage of the refrigeration equipment that causes its stop for a period longer than 24 continue hours. 1.2.3. When the ship strands, grounds or sinks. 1.2.4. Rollover or derailment of means of ground transport. 1.2.5. Collision or contact of the vessel, ship or means of transport with any other external object or matter that is not water. 1.2.6. Discharge of Insured Goods in refugee port. 4.4. Losses, damages and expenses caused by own vice or by own nature of the Insured Goods (except for losses or damages caused by temperature variation specifically covered by article 1.2. formerly mentioned). We stay aware to the what happens regarding Import and Export Load in our country, as well as the increase or reduction of the existing risks, which we will inform in due time. Further to our previous Circular dated June 17, 2009 we inform that per government decree dated July 29, 2009 the state has now taken over the operations and warehousing of the main Venezuelan Ports including Maracaibo, Puerto Cabello and La Guaira. The Ports will be managed through the company named BOLIVARIANA DE PUERTOS (BOLIPUERTOS) . Warehouses and handling equipments have been taken over from the private companies, which were handling the port operations up to now. Port workers are also said to be taken over by the state although we understand that an important number of managers will not accept the transfer. Operations, especially in Pto. Cabello were interrupted for some days and now have been resumed although, as we could notice, with delays and disorganization. The general cargo is handled almost totally by the government; bulk cargo is still handled by private stevedores for now. The risk for the cargo is expected to increase both during its handling as the warehousing. During the transition time the risk will increase even more due to the general confusion existing (For example we understand that the inventory system for the merchandise in some warehouses is not working). However we understand that the new Port Institution was making inquiries regarding liability insurance, as stated in our previous circular, we expect that claims against them regarding robbery and damage of merchandise will be extremely difficult if not impossible. Also stevedores damages to the vessels will be difficult to claim.